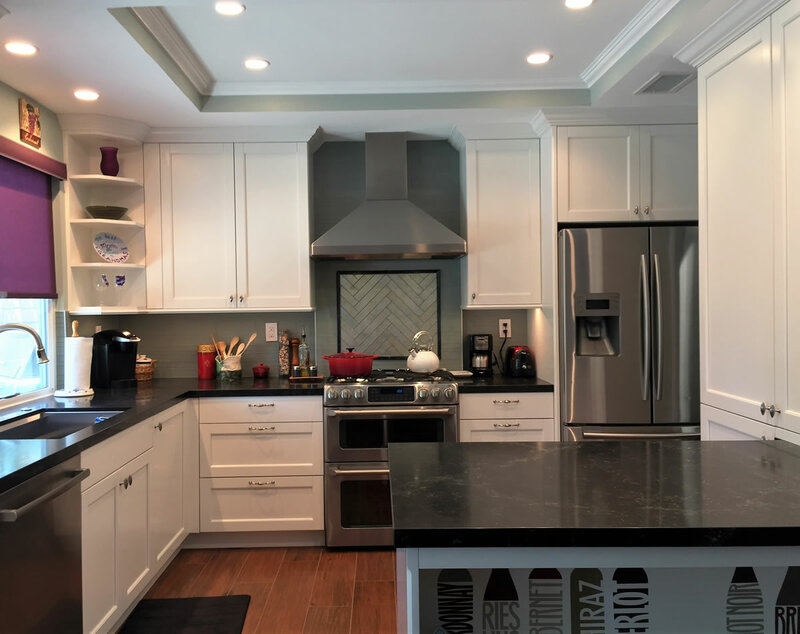 Brea Kitchen remodel 2016 | Le Gourmet Kitchen Ltd. This Brea Kitchen remodel was a small project with a few challenges. Opening up the space whilst maintaining adequate storage space was our key objective. The kitchen Design features every space saving feature including a chefs pantry, a magic corner mechanism and drawers wherever possible. We added the open shelves to balance the space on the sides of the window.